Laurelhurst Park and Terwilliger Boulevard in Portland. Volunteer Park and Lake Washington Boulevard in Seattle. Corbin and Manito parks in Spokane. The campuses of Linfield College in McMinnville and Oregon State University in Corvallis, Oregon; Whitman College in Walla Walla, Washington; the University of Washington in Seattle; the University of Idaho in Moscow; and the grounds of the State Capitol in Olympia, Washington. The Highlands residential development in Seattle and the Uplands in Victoria, British Columbia. All of these sites demonstrate the inimitable Olmsted landscape design imprint, the clear influence of Frederick Law Olmsted Sr. But in fact all of them, and many others in the Pacific Northwest, were designed by John Charles Olmsted. John Charles OlmstedOlmsted National Historic Site During his near decade of active landscape design practice in the Pacific Northwest, John Charles Olmsted and the Olmsted Bros. firm, based in Brookline, Massachusetts, would initiate more than 60 public and 150 private commissions throughout the Northwest, from British Columbia to Idaho. John Charles Olmsted first arrived in Seattle in 1903 and his last visit was to Victoria in 1911. During that time there was a population boom, fed by the Yukon gold finds as well as the plentiful natural resources in the Puget Sound country, the Willamette Valley, and the Inland Northwest. The Progressive Era was on, and aspiring local leaders, many influenced by the City Beautiful movement, came to value civic beautification and public parks as amenities in their mission to bring their frontier cities forward to match their Eastern counterparts. John Charles Olmsted was recruited into their midst as a consultant and advisor to advance their cause of bringing a civilizing influence to their burgeoning cities. John Charles Olmsted was the nephew, stepson, and business partner of Frederick Law Olmsted Sr. He trained at Yale, graduating in 1875. He apprenticed with the elder Olmsted in professional practice as a landscape architect. 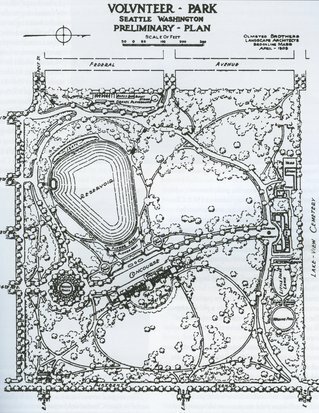 Among other projects, the younger Olmsted would assist the office in crafting the design for Boston’s Arnold Arboretum. John Charles Olmsted’s prolonged apprenticeship included nearly three decades with the firm, during which time he absorbed his father’s love of the outdoors and his knowledge of plants. 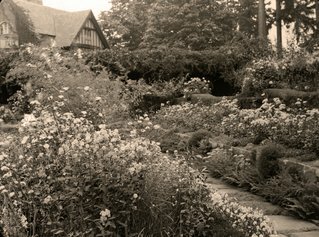 During this time, the Olmsted Bros. firm became established as the premier landscape design office in America. John Charles Olmsted remained in the shadows until his father passed away in 1903. Along with his younger half-brother, Frederick Law (“Rick”) Olmsted Jr., John Charles assumed responsibility for the administration of the office. In 1899 the American Society of Landscape Architects was formed and John Charles Olmsted served as its first president. While Rick was busy teaching at Harvard, John Charles was traveling extensively in the United States and Canada. When he first arrived in the Pacific Northwest in 1903, at the age of 50, Olmsted was escorted around by park commissioners and other civic leaders. He was struck by the dense, dark forests, the old-growth trees, the lush understory, the rugged topography and the vistas to snow-capped peaks. In particular he was captivated by Portland’s views of Mt. Hood and Seattle’s views of Mt. Rainier. Olmsted would also travel by boat in Puget Sound, to the San Juan Islands and to Victoria on Vancouver Island. He was an acute observer and botanist and was often critical of existing park and garden designs. He was concerned that in their determination to make their parks and gardens more picturesque, the locals were ignoring the special character of the native plants and favoring nonnative shrubs and trees. This sketch by Charles Olmsted shows a preliminary design for the Alaska-Yukon-Pacific Exposition.National Parks Service After the success of the 1893 World Columbian Exposition in Chicago (with grounds designed by Frederick Law Olmsted Sr.), other world fairs followed. Portland would plan a Lewis and Clark Centennial Exposition in 1905 and Seattle would plan the 1909 Alaska-Yukon-Pacific (A-Y-P) Exposition. For his first Portland project, responding to his client’s notions and following his father’s lead, John Charles would incorporate a large lake and a man-made island into the master plan for the Lewis and Clark Exposition. Olmsted prepared two separate Portland Park reports, one in 1903 and a second one in 1908. Notably, in the preamble to the first report, Olmsted named 18 principles, or benchmarks, for park planning and park management, in what became a model document and guide, not only for the city of Portland but also for park planners everywhere. Park departments cite these principles to this day. Additional Portland area projects included residential developments and a sublime private garden commission, Bishop’s Close, at Elk Rock. Emanuel Mische, the first superintendent of the Portland park system (and a former Olmsted Bros. employee), designed northeast Portland’s Laurelhurst Park, perhaps the one Portland park that to many seems most classically “Olmstedian” in landscape motifs. Olmsted would contribute to the designs for two Oregon colleges – McMinnville (now Linfield) College in McMinnville and the Oregon Agricultural College (now Oregon State University) in Corvallis; he would also provide advice to a third, Pacific University in Forest Grove. Olmsted’s reports provided guidance for the orientation of buildings, the artful configuration of walkways for pedestrian circulation and suggestions for future buildings and campus expansions. Preliminary Plan for Volunteer Park in Seattle.National Parks Service The Volunteer Park Conservatory, built by the Olmsted Firm in 1912.National Parks Service Thornewood landscape by James Frederick Dawson and John Charles Olmsted, built 1909-1911. Preserved as Thornewood Castle Inn and Gardens.Library of Congress All in all, John Charles Olmsted made 12 trips to Seattle, visits that would have a more lasting impact on the Emerald City than on any other city in the Pacific Northwest. The Seattle park system would become as developed and integrated as some of the key Olmsted Sr. parks in Eastern cities. John Charles worked on 35 different projects for the Seattle park system, and his designs are still evident, at least in part, in locations such as Volunteer Park, Green Lake, and a boulevard in Washington Park. Arguably, Volunteer Park to this day remains the “crown jewel” of Olmsted park designs in Seattle. John Charles foresaw that residential development would eventually extend further south and consume the beautiful landscape of the Bailey Peninsula, jutting into Lake Washington. He recommended including the peninsula in Seattle’s expanding system of boulevards and parks – hence Seward Park. 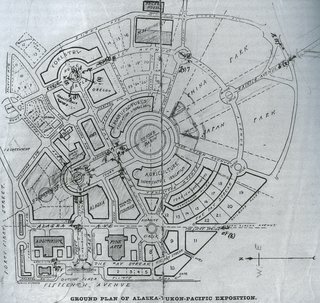 In October 1906 Olmsted traveled to Seattle to begin work on the grounds for the A-Y-P Exposition and to continue work on the master plan for the University of Washington campus. He began with parkways, realizing that both park planning and city planning would likely follow. His initial report for the Seattle park commissioners remained the key guiding document for future park planning. Among other recommendations, Olmsted proposed a 20-mile linked systems of greenways, parks, playing fields, lakes and shorelines. Many of the boulevards remain today, at least in part. 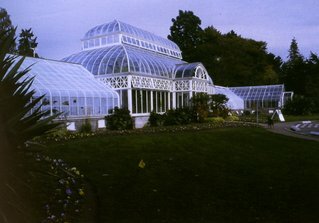 Olmsted’s contributions to the Seattle landscape were not limited to public spaces. He also consulted with several prominent homeowners on both Capitol Hill and Queen Anne Hill. Another notable project was the Highlands, a large residential development in a leafy area far to the northwest of downtown Seattle, on a large plot of land overlooking a bluff at the edge of Puget Sound. Olmsted visited Spokane in 1906, where he offered advice regarding that city’s ten existing parks and recommended the development of at least 20 new ones, along with connecting boulevards. He consulted on many of these and sketched plans for three – Adams (now Cannon Hill), Liberty, and Corbin parks. He also consulted regarding land use in Manito Park, a large South Hill green space that remains popular to this day. Olmsted initiated more than 30 separate projects for private clients and more than 12 separate Spokane park projects. 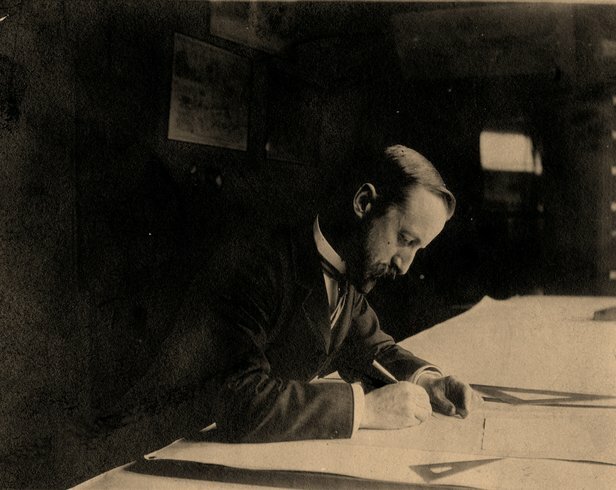 In 1908 he delivered his Spokane Parks Report, which had lasting impact. Spokane is still actively improving and adding to its park system, inspired by the plan and principles set forth by John Charles Olmsted. Olmsted was recruited by college presidents in the Inland Northwest – the region comprising eastern Washington and northern Idaho – to advise in the planning of college and university campuses. His design recommendations for the Whitman College campus in Walla Walla, and for that city’s principal parks, have been nearly fully realized. His recommendations have also had a lasting influence on the shape and layout of the campus for the University of Idaho in Moscow. Further afield on Vancouver Island, in the beautiful provincial capital of Victoria, British Columbia, Olmsted was brought in to consult on the residential development known as the Uplands. To this day it remains a very well preserved Olmsted landscape design. Finally, the Olmsted Bros. firm was contracted to consult on the master plan for the grounds of the Washington State Capitol. John Charles drew up an initial set of detailed plans. After his death, his associate Fred Dawson continued to work on the project. Though not all of the design was implemented, one can still see the Olmsted imprint on the overall Capitol campus complex, particularly in the broad green spaces and connecting walkways. Evolving somewhat in his thinking from his stepfather’s approach and design emphasis on New England pastoralism, and adapting to local conditions, John Charles Olmsted emphasized the preservation of large native trees and lush understory as representative of the Picturesque in the landscapes of the Pacific Northwest. At the same time, he worked to feature the sublime in capitalizing on the magnificent vistas, most notably in the framing of the Rainier Vista on the University of Washington campus. Like Frederick Law Olmsted before him, and like his stepbrother Frederick Law Jr., working mostly in Eastern locales, John Charles used landscape features to create three-dimensional artworks that immeasurably enriched the fabric of the Pacific Northwest. Joan Hockaday, Greenscapes: Olmsted’s Pacific Northwest (Pullman, WA: Washington State University Press, 2009). Lucy Lawliss et al.,eds., The Master List of Design Projects of the Olmsted Firm, 1857-1979 (Washington, DC: National Association for Olmsted Parks/National Park Service, Frederick Law Olmsted National Historic Site, 2008). John Charles Olmsted Papers: Special Collections, Frances Loeb Library, Harvard Graduate School of Design, Cambridge, Massachusetts. Laurence Cotton is a writer and historian who has lectured extensively on North American landscape history. 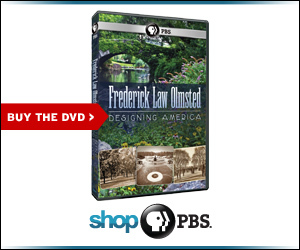 He is the consulting producer for Frederick Law Olmsted: Designing America.